The Imperative Group. 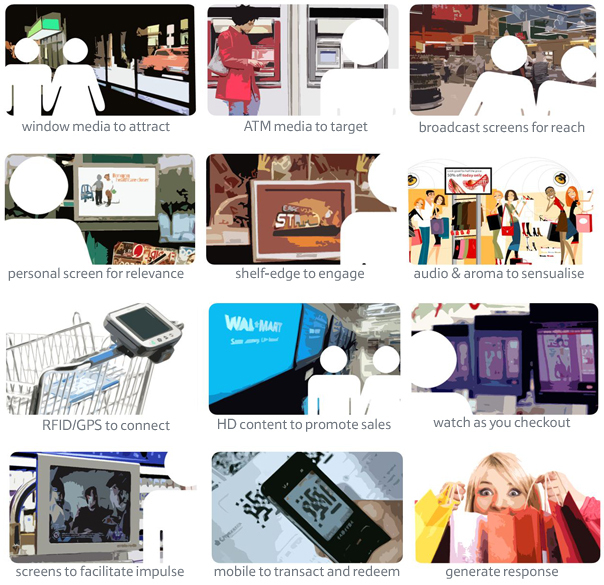 Development and communication specialists to the screenmedia, digital signage, retail media, interactive, mobile, out of home, DOOH, marketing at retail and in-store marketing sectors. We are digital screenmedia* planning, development, communication and execution specialists. We specialise in promoting, creating, developing and delivering cutting edge digital media networks that engage people when they are out of the home, whether they are travelling, shopping, relaxing or working. We plan & execute strategies that help businesses develop successful digital signage, screen media, audiovisual and multichannel communication networks that deliver measurable & meaningful value to viewers and commercial partners. We can help design networks from blank page to rollout if it’s a new concept, validate and add value to an existing project or communicate your offering to the wider world. We can assist in creating, delivering & managing new products and services from an early stage to market, helping the idea, service or product find the substance, scale and reach it needs to succeed. Our international clients benefit from our years of experience, insight and know-how which we offer via the services below. We work in an ever changing environment where retail, leisure & corporate communication is fusing with new technology and new methods of communicating. This technology is simply an enabler, to help save time or money; to provide information or choice; to provide new ideas and to help them make better decisions. The glue that makes the relationship work between technology and the recipient is relevancy, because without relevancy there is no meaningful dialogue. We understand the significance of this relationship because we have over 13 years of hands on experience gained specifically creating this relevancy and applying this in out of home, consumer advertising, digital signage and in-store experiential marketing environments. We are a full member of the Point of Purchase Advertising International (POPAI) association and sit on the management committees in both the UK and United States. 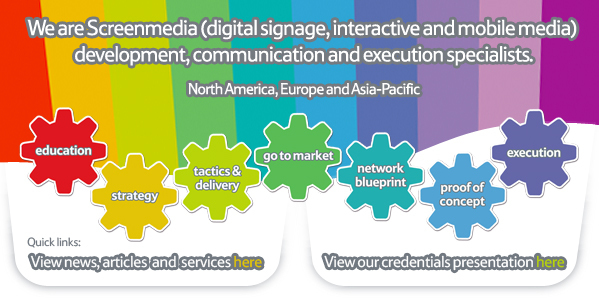 *digital signage, interactive, mobile & social media.